In Waldorf schools, every child is gifted and talented and the curriculum is designed to bring his or her talent to light. Waldorf curriculum exposes children to a wide variety of subjects and encourages them to develop in a well-balanced way. Girls and boys take woodwork and learn to knit, and everyone plays a musical instrument. These diverse experiences help children to discover and develop their own talents while noticing that each person’s gifts are different. This approach encourages the appreciation of many types of skills in addition to academic skills. Our sixth grade class is reading Sharon Draper’s book, Out of My Mind, which is the story of an intelligent 11-year old girl who cannot speak, talk, or write and her journey through these challenges. The class teachers brought both the fifth and sixth grade classes to Cape Abilities farm to broaden their real world experience while reading this story. - J.D. WSCC Fifth grade student. 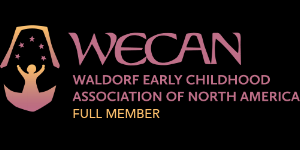 Waldorf educators believe that the curriculum brings to light each child’s unique talents while developing appreciation for other’s gifts and talents that may be different from their own. The goal is to send forth into the world children who appreciate the diversity and myriad of talents that human beings share.